Are you ready for some concrete info about Beastlords? 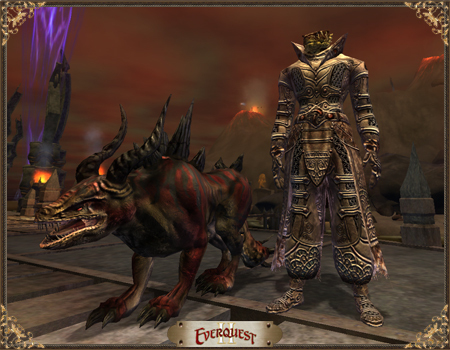 The decision to bring Beastlords to EverQuest II was made less than a month before Fan Faire according to an SOE source, and a lot of things were said at Fan Faire, including what type of armor and weapons they’d use, what class they’d be, and how Warders would work. Now that the team has been working on them for four months, there have, not surprisingly, been a few changes. Q. 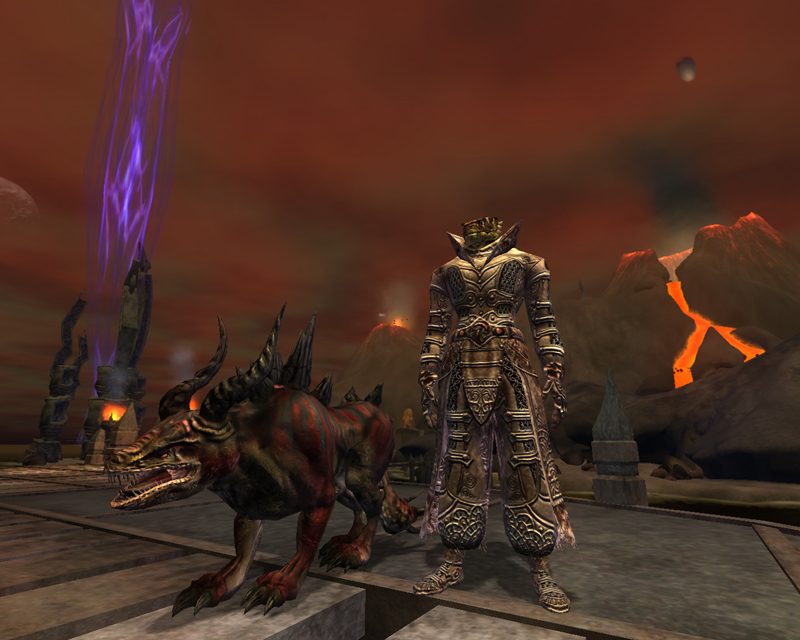 What is a beastlord? What makes it different from the existing classes? Q. What archetype does the beastlord belong to? Fighter, scout, mage, priest? Q. What is a warder? Q. How do I get a warder? Q. What is the difference between warders; why would I want to use different ones? Q. How does my warder interact with me during a fight? Q. How do warders level up? Do they get AAs? Q. At Fan Faire it was mentioned beastlords may wear leather armor. Is that still the plan? Q. If the beastlord is a scout class, will existing scout raid armor patterns that drop in the Velious zones be changed so that beastlords can use them also? Q. What player races can be beastlords? Q. 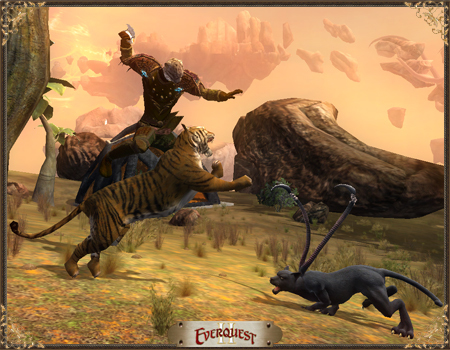 Will the beastlord have an epic quest? Class hat? Q. What is the coolest thing about beastlords? Discuss this on the EQ2 Forums. Looks pretty cool! A few people in my raid were looting left-over brawler gear thinking they might be able to gear out a Beastlord when they go live. Hehehe. Never mind. woot 😀 I cant wait! Scout gear, oh well all the brawler gear i been saving from raid because nobody wanted it. Oh well there will a transmuting fest in a few minutes. This is suspiciously close to the Hunter class in WoW. Which admittedly, is fun to play. Bad news — no one wants them in raids. Good news, they are extremely easy to solo. Interesting. I wonder how they will compare to the other true pet classes as I think about how Conj/Necro have a different balance of personal/pet DPS that only varies somewhat based on the type of pet you have out. If Beastlords can skew that formula dramatically (e.g., truly decide whether it’s more about them or more about the pet on the fly) they will be more versatile in situations that shut down or favor pets. Just some interesting notes. There are 16 pet classes, there are 16 in game classes. 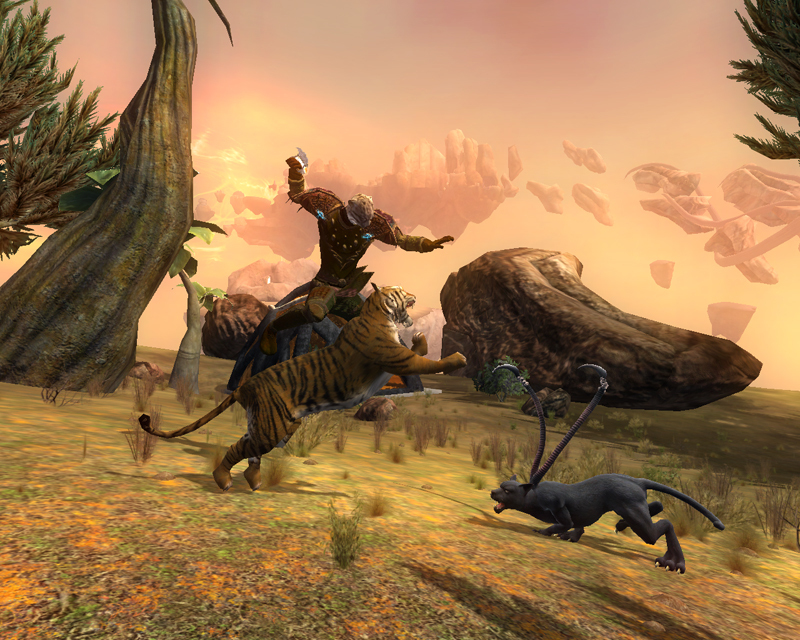 Pet classes will have a variety of defensive and offensive skill sets, Current game classes have a variety of defensive and offensive abilities. Does this sound to anyone else like they are mimicking the pets after each of the current game classes? Oh well. I suppose a leather scout trying to melee mobs would have been eaten alive. I still feel like the biggest problem with Beastlords is going to be survivability since they and their pet both have to be within melee range unlike summoners. I guess that’s why their wearing chain after all.